Contraband proudly introduces naughty 1940s noir from the legendary burlesque queen who was an unlikely early feminist icon. 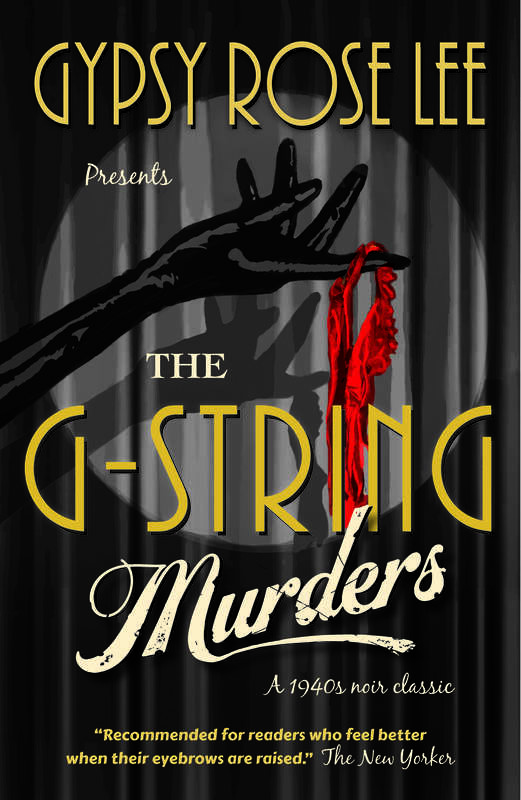 The G-String Murders, published on 9 March 2017, is a dazzling and wisecracking murder mystery noir that was the basis of the 1943 film Lady of Burlesque, starring Barbara Stanwyck. It mines a rich vein of classic American social, cultural and entertainment history, as told by someone who lived it, warts and all. The world of burlesque is laid bare by the self-styled ‘striptease intellectual’ who was way ahead of her time… and always one step ahead of a media and society quick to condemn. It is arguably challenging women’s writing for a 2017 audience, when views on feminism, women and striptease have changed so much… or have they? Narrating the twisted tale of a backstage double murder, Gypsy Rose Lee, the queen of the striptease, provides a tantalising glimpse into the underworld of burlesque theatre in 1940s America. When one performer is found strangled with a G-string, no one is above suspicion. A host of clueless coppers face off against the theatre’s tough-talking guys and dolls, and when a second murder occurs, it’s clear that Gypsy and her cohorts will have to crack the case themselves. The G-String Murders also features an afterword by Rachel Shteir, author of Gypsy: the Art of the Tease.